Selecting the best protective glove can be daunting. It needs to provide the highest level of food safety to protect your customers, your product and your brand. That’s a big task. What material? What’s the difference between all of the gloves out there? Our Eagle team is here to help make sure you select the best glove for your business. 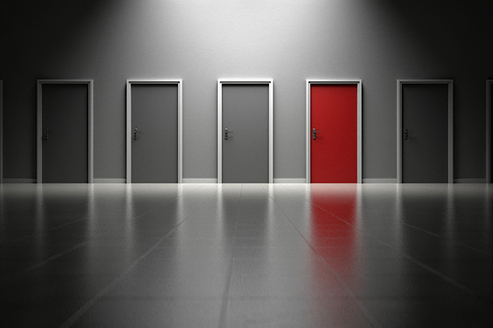 Don’t hesitate to contact us with questions. Eagle gloves or not, our goal is to increase the US food industry’s food safety through proper glove selection. Here are the basics of disposable gloves. This will help you search for the best food handling glove and decipher the spec sheets. Nitrile: Nitrile butadiene rubber is a synthetic, latex-free rubber. Nitrile gloves have characteristics similar to latex such as their elasticity and strength, but do not contain the latex proteins people can be highly sensitive or even allergic to. 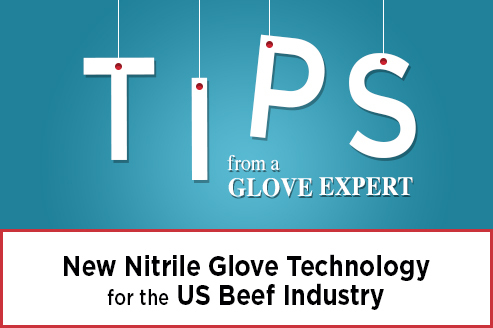 We recommend nitrile gloves for food handling for multiple food safety reasons. Vinyl: Made of polyvinyl chloride (PVC), vinyl gloves are currently the most commonly used gloves for food handling in the US. We have stopped sourcing vinyl gloves due to food safety and environmental risks as well as adverse health effects to the glove wearer. Read why cheap vinyl are the best gloves to spread listeria. Latex: Very durable due to their high elasticity and resistance to punctures, latex gloves provide the wearer a great fit, but improvements in nitrile have drastically closed the performance gap. Latex gloves are no longer used for food handling in the US due to potential allergic reactions in latex-sensitive individuals. Glove Thickness: This measurement is straightforward and tells you how thick the material is. A thicker glove does not necessarily indicate a stronger or more durable glove. 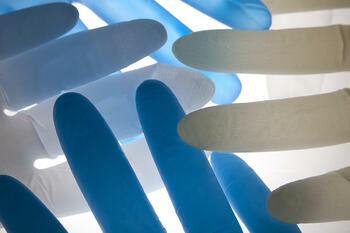 Read do thicker gloves improve food safety to learn more. Glove Weight: The weight of a glove indicates the amount of material in the entire glove. Cuff Length: The cuff measurement is the distance from the tip of the middle finger to the end of the cuff. Depending on the task different cuff lengths are preferable, for example if more protection is needed a longer cuff would be the better choice. Ambidextrous: Gloves formed to fit either hand reduce waste and simplify ordering when compared to gloves specifically formed for right or left hands. Textured: Gloves generally have textured fingertips, and some are fully textured including the palm area. The texture is a roughened part of the glove which improves their handling of smooth or slippery surfaces. Diamond Textured: This is a pronounced texture to provide enhanced grip, especially in wet conditions. AQL: The acceptable quality level refers to a quality standard for measuring pinhole defects. It is a way to quantify the level of food safety barrier between a workers hands and the food being handled. The lower the AQL, the less defects and higher quality the gloves are. Read more about using AQL to select the right glove. Tensile Strength: The amount of force needed to stretch a glove to it’s breaking point. A higher number reflects a higher quality glove material. Ultimate Elongation: This is the length the glove stretches before it breaks. Higher numbers represent better elasticity and a higher quality glove. At Eagle Protect we pride ourselves in supplying high-quality, ethically-sourced disposable gloves. Browse our collection of gloves proven safe for food handling. Our glove experts are ready to help you select the best glove for your business.